1. John Green explains the 2nd and 3rd portions of the French Revolution. 2. 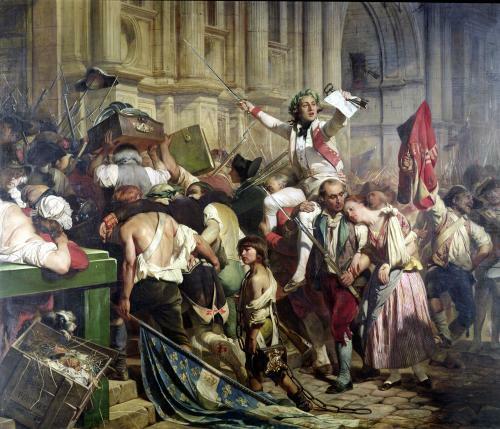 We will discuss the impact of the French Revolution. 3. Students will work in groups to deconstruction the DBQ on Slavery, Revolutions and the Enlightenment. They will group the documents in 2 with a T-Chart. We will review their findings at the end of period. J.M.W. 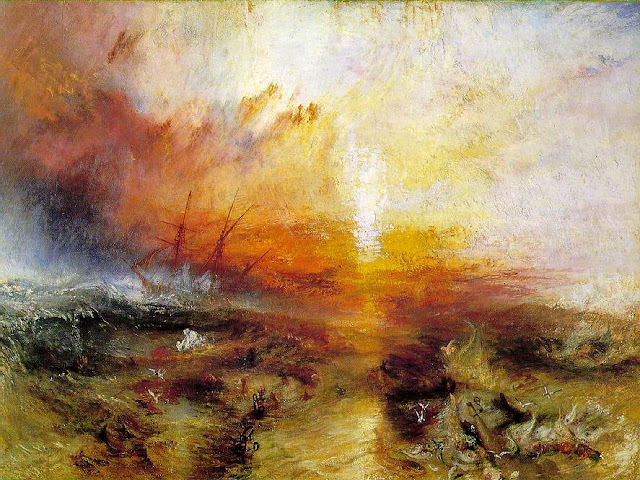 Turner, The Slave Ship (1840). Oil on canvas. 1. Each student will have 5 minutes to write their thesis statement for the DBQ on Slavery, Revolutions and the Enlightenment. 2. We will work in groups to write one single group thesis statement for the DBQ. 3. We will discuss each group's thesis and choose a single best one for the class at the end of the period. 1. DO NOW Question: "What accounts for the growth of nationalism as a powerful political and personal identity in the 19th century?" 2. We will discuss Nationalism and Feminism. 3. Review game over Chapter 17's Margin Review Questions. 4. Video "The Power of Art: Jacques-Louis David." 2. Begin to prepare for the Quiz on Monday Chapter 18 "Revolutions of Industrialization, 1750-1914"